Learning is a Continuous Process. If student feel bore in regular learning ways, teacher must guide him in new way and attract him towards the subject. 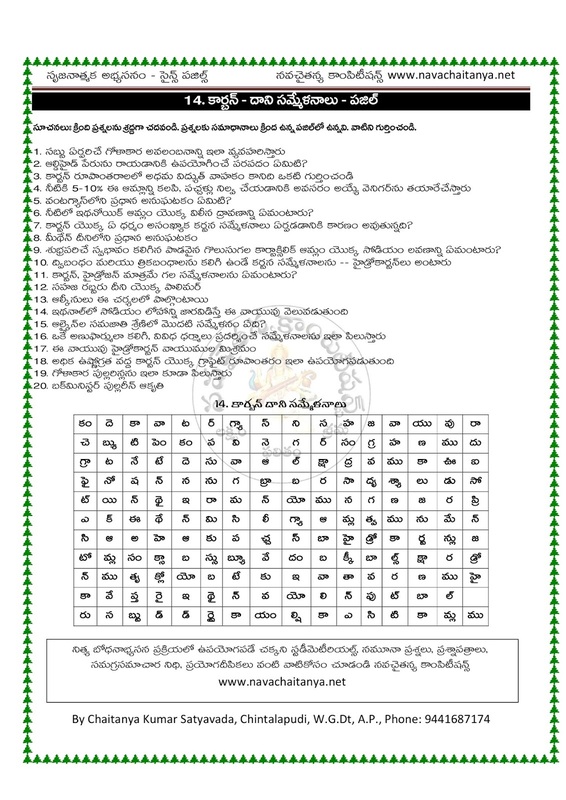 Here 10th Class Physical Science Bits Puzzles helps students to learn 10th Class Physical Science Bits in a new way. It's just like crossword puzzle, which prepared with 10th Class Physical Science Important bits. 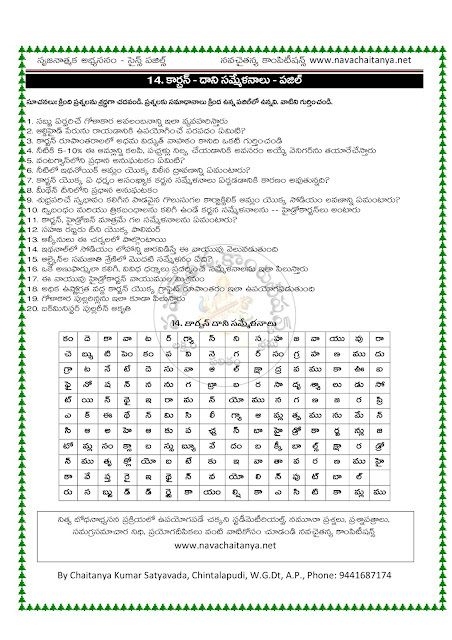 In Every puzzle, 15 or 20 10th Class Physical Science Bits are asked and student will find the answers for those bits from the crossword puzzled given under the questions. This is a good way to learn Important bits in 10th Class physical science. 10th Class Physical Science Bits Puzzles . . .